Although the use of radar-jamming and radio-jamming Minovsky particles in battle situations renders such electronic forms of detection useless, the EWAC Zack was often used for pre- and post-combat actions, tasked with acquiring enemy strength, location, and disposition data. 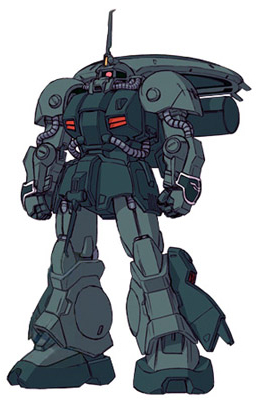 Thus, the EWAC Zack was also equipped with four data pods in its backpack, each of which carried recordings of the mobile suit's intelligence data and could be either jettisoned or launched back towards friendly forces. In the case of capture by the enemy, the data in the pods was also encrypted, thus assuring that valuable intelligence would not fall into the wrong hands. The EWAC Zack was also designed for long-range use, equipped with a pair of external fuel tanks for extended flight times. Although typically unarmed, the EWAC Zack could also be equipped with the weapons normally carried by a Hi-Zack, if necessary.